At Lavender House we pride ourselves on offering a relaxed and exclusive venue for your special occasion. You can be assured that the only guests within the hotel and grounds are your guests enjoying your special day. Set in three acres, Lavender House Hotel Wedding Venue enjoys panoramic views of picturesque Dartmoor National Park in the heart of Devon and just one mile from the popular stannary town of Ashburton. Lavender House is licensed for Civil Ceremonies and Civil Partnerships both in the Garden Gazebo or within the Hotel. Set alone, it’s an ideal wedding venue for an intimate and personal wedding day that you will remember forever. 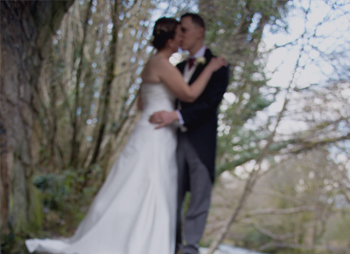 Why not take a look at our Wedding brochure at your leisure. You can download it here. Join us on facebook for any special offers or event we hold at Lavender House Hotel. We will post regular updates and pictures, news etc. to share with you. 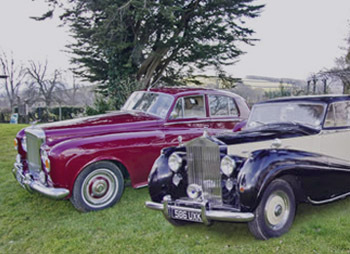 Lavender House, have a very cherished 1951 Rolls Royce Silver Wraith, 1962 Bentley S3 Marroon, 1962 Bentley S3 Blue & Silver for special occasions such as your Wedding. 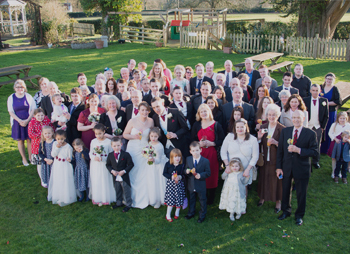 Lavender House Hotel specialise in Civil Ceremonies and Wedding Receptions. We are offering a mid-week wedding for only £2,777 this shall include up to 30 guests including the Bride & Groom on Monday’s-Thursday’s. We offer you several years of experience when it comes to organising special occasions and are happy to pass this on to aid you with your Wedding Ceremony and the Reception thereafter.